You may remember I blogged about this pattern last year. 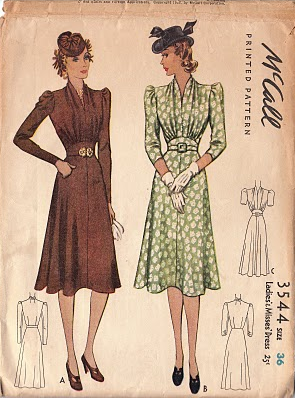 I bought it from Top Tottie Vintage esty shop and I think this pattern singlehandedly sparked my love of 1939-1940 McCall patterns!!! I got both the hat and fabric in the Pacific Northwest when I visited my family last August. The fabric is from JoAnn's in NewPort, Oregon and the hat is from Urban Eccentric Vintage--a store in Vancouver, WA. The hat was such an amazing find (only $20!!!) I got it at the same time that I got my faux fur tilt hat! I was also able to use one of the notions I got in the notions exchange we did as part of the Sewing Circle. Amanda from Australia sent me a lovely package of notions and there was a vintage zipper that matched this fabric exactly! How amazing is that? My favourite part of the dress is definitely the neckline. 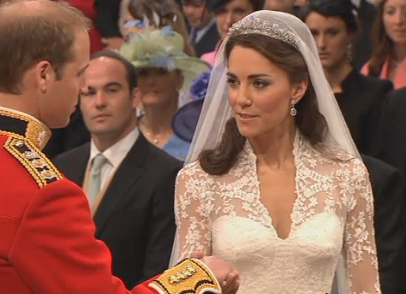 Speaking of necklines, did you see Kate's beautiful wedding dress? I love that neckline and the lace, oh the lace...how beautiful!!! What a gorgeous wedding dress too! 1938-40 is my favourite era for dresses, I have made several along the same line as yours. i love the built up neckline. Love the neckline on both dresses (yours and hers). 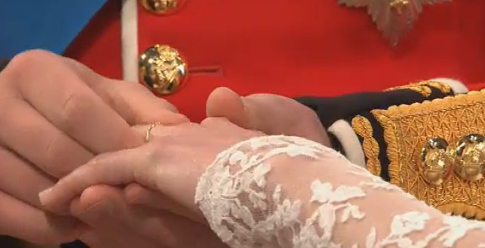 :) I slept through my alarm, so I'm just now catching the wedding recap. Beautiful as always, Debi! Love the gathering details. Your dress is absolutely beautiful. I love all of the gathering in the various places, and the neckline is lovely. It is very flattering. It really becomes you. It looks very comfortable as well. The hat is so perfect for this dress. 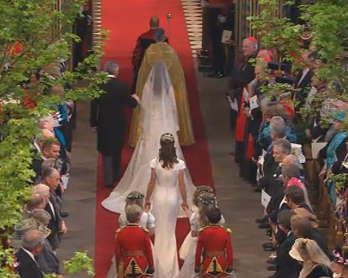 Kate's dress is magnificent. Love all of the lace and such a beautiful neckline. Also, your dress is ravishing. Wasn't it nice when Harry snuck a peek at the bride and turned and said something to his brother who was resolutely facing forward? Lovely. so, i was all confused about our SW challenge because i thought it had more to do with easter bonnets, and wondered if easter was on a different day in other countries. i would attribute that to lack of sleep but really i'm just that clueless sometimes. so you know i LOVE the dress-- and i thought it was fitting that the lovely hat looks ready to gracefully swoop away like your heron! That is such a lovely dress! I am very envious. I need to get on with my sewing through the decades dresses! I used that same exact fabric from Joann's for a (failed) sun hat, which is so sad because I love the print/colors. 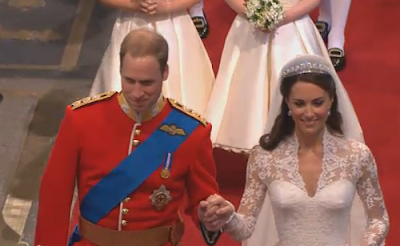 Well done on the dress and it goes so nicely with that hat! 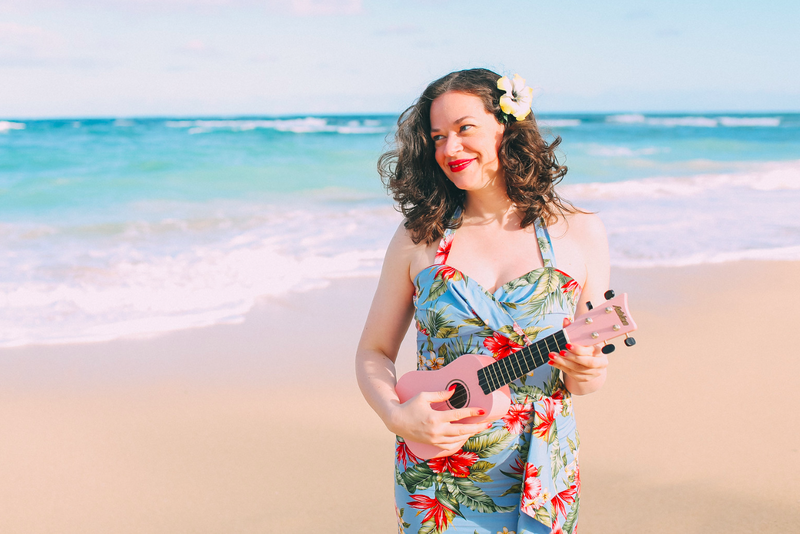 I'm just catching up on my blog reading and I love what you've made in the past few weeks! I especially love the 1932 gown, the back detail is beautiful. I love your post idea of reviewing your projects by decade - by the end of this year I'd love to have a piece from a bunch of decades and write a post similar to yours! I love your dress so much, and that hat is just delicious! Oh, your dress is gorgeous and I love your hat too!!! I also got drawn into the Royal Wedding today, Kate's dress was stunning! It's beautiful! Looks like a great dress for a lot of occasions! Enjoy it as the warmer weather is coming. The hat is adorable, nice touch. Your dress is beautiful! There is a Burda pattern similar to this that I have been wanting to make. I also agree with the neckline on her dress. I am sure there will be a new trend with lace topped wedding dresses again. It does look very elegant on her. What a lovely dress! And that hat is an amazing find--it suits you so well! this outfit suits you SO perfectly. Just gorgeous!!! Don't mind if I fly over, sneak into your apartment, and steal this dress. It's PERFECT. I adore the fabric and the pattern is BEAUTIFUL! It's everything I would want in a 1940s dress. You look stunning! I think that is one of the cutest late 30ies dresses I`ve seen! Lovely, the fabric and the fit look gerorgeous on you!